Most of the time when I write about cookies and affiliate marketing, I mean the digital cookies that result in our tracking. Not this time. This is a story about how actual cookies resulted in Facebook likes, Pinterest traffic, backlinks, and more… but not until almost a full year after a post was published. 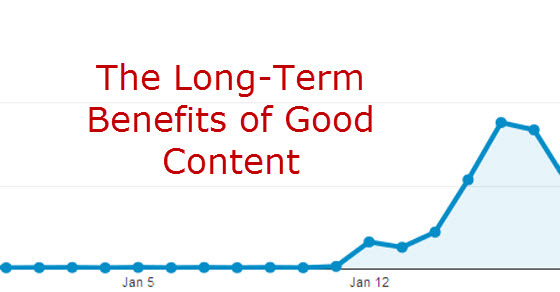 More importantly, it’s about the long-term benefits you can get out of good content. If you want to read all about the technical aspects behind how our site was able to keep up with the traffic and the programming behind it all, check out Eric’s post: Be Ready for Viral Sharing. 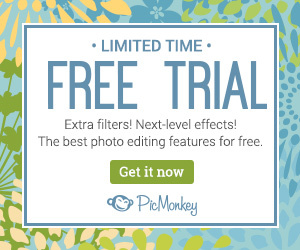 This is essential if you do not want your site to crash or to spend a fortune in hosting! Todd Farmer, Eric Nagel, and I have a system for our Wine Club blog. We publish X number of “money posts” (highly monetized) and X number of “filler” posts. We call them “filler” for short, but they are really the content that makes up the site beyond just writing about our merchants. They can be evergreen posts related to our merchant (like How to Choose a Wine Club), Pinterest-worthy posts (like Red Wine Chocolate Cupcakes), or timely posts (like Fondue Day). 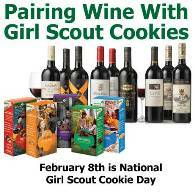 The Pairing Wine with Girl Scout Cookies post was meant to be both timely and Pinterest-worthy. Eric created an image that would clearly show both the Girl Scout cookies and the wine. On February 7, 2013, we published it, Pinned it, posted it on Facebook and Twitter, etc. All our normal methods of sharing. In the first week, it had 319 pageviews. A couple of repins. A couple of likes. Nothing spectacular. In the time since then, it has gotten a little traffic here and there. But nothing like what happened starting January 11, 2014. Almost a full year after the post was published, and while we were all out of town at Affiliate Summit, the post all of a sudden took off. On the first day, we saw a jump in traffic that was out of the ordinary but not exciting. By the next day, the post was getting thousands of views. Within 5 days, it was getting so many thousands of views a day that it made our usual “busy season” look like a blip in the data. Here’s a normal year for us. Traffic is steady enough throughout the year to be profitable, but December is by far our best month. Now using the exact same Google Analytics results only taking them out one more month, look how insignificant that wonderful month of December looks compared to the traffic spike we saw when the cookies and wine post went viral. Did it finally take off on Pinterest? Was CNN linking to it? What was causing all of this traffic? Interestingly enough, we traced it back to a Google Image search. The right person liked it and many others started to follow. As we started digging into the data, we noticed that Facebook was the early driver of most of the new traffic. Within about 5 days the page had amassed over 100K Facebook likes (and still increasing). In addition, it had been Tweeted hundreds of times and Pinterest pins were exceeding 4K. At one point, the Pinterest pins were up so much that Pinterest had exceeded Facebook as the top traffic source. The more popular the post became socially, the more people who added to the popularity with their likes and pins. The more people were seeing their friends like or comment on it, the more likely they were to check it out themselves. To get more popular, you have to already be popular. The problem the first year we wrote the post was that it just wasn’t popular yet. We were able to seek out a special deal based on the traffic, and we received an exclusive coupon and custom landing page from one of our merchants. Completely natural backlinks from at least 25 different sites including blogs, forums, media, Tumblr, and other sharing sites we had never even heard of. 10% increase in subscribers to our newsletter. Increase of over 20% in our Facebook Fan Page, despite most of the Facebook traffic not coming from our own sharing of the post. Increase in other Facebook posts being seen due to the increased engagement on the cookie post. In addition to all of that, we saw an overall increase in traffic to other pages of the site (versus January 2013). In fact, some days the traffic to the rest of the site was up over 400% over last year. Time on site went up from 1:31 to 3:44. After digesting a LOT of data, checking PR of backlinks, reading comments, etc., here are my biggest takeaways from what this post taught our team. There is real, substantiated value in creating long-term content that is not about direct monetization but rather the overall health of your site. Not every post takes off when you want it to and how you want it to, but viral traffic can come when you least expect it. In addition to creating new posts, revisit old posts and see if you can get new traffic on them. A good viral post is worth 10+ guest posts when it comes to getting backlinks. Facebook really can be useful to your business and drive traffic, just not by trying to force it. Data is your friend. You should be consistently tracking various metrics and be able to compare across different data sets. Brand your images. We learned this AFTER we had already done the image for this post but wish that we had learned it before. The exact dimensions of an image or length of an article are less important than the creativity of the idea behind it. Be sure your server is prepared for unprecedented traffic and you know that the benefits will outweigh the costs. Your friends in the industry will be as excited about your social media successes as you are. Have you ever had a post just boom unexpectedly? What do you think caused it? Are there any lessons in our adventure with Wine and Cookies that you can apply to your own site? Well content is always the key until and unless it is unique and information providing. If it is a good content it will always drive you traffic i.e at the time of posting and also it may take a long run. The post when posted on a blog along with images should be properly optimized and some important sharing activities should be done like facebook, twitter, pinterest etc. This can help in easy way of driving traffic as social media is widely used by everybody. Regular monitoring of the content should also be done , as you would never know when your post or the images in it might trigger out traffic. Wow! That’s a reely good result. My website is still very young, but I’m all excited when see such a results. Thanks for this post! good quality content is a keey to sucess and i am surely agree with your post…. with quality content google rank hits too increse in a long term..
Trisha, nicely done. 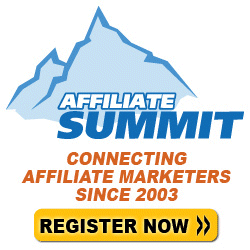 Sharing with other affiliates to show the value of solid content and a good content strategy. Congrats o you and your team! I have had the same exact thing happen, this was about 7 years ago with a post and every year it goes crazy again. It will be interesting to see if this post can have a yearly spike around the same time girl scout cookies are being delivered. You may want to add it to your yearly calendar so you can retweet it this time next year and get the ball rolling again. Odds are you won’t need that but it can’t hurt. Tricia, Great post and one that I will link to as we continue to educate our clients on content building through the affiliate channel. I wish Eric sharing it as a “guest post” on my GirlScoutGuide.com site was a contributor to the success, but I know it wasn’t LOL. Very cool, regardless! Wow that’s awesome! I’m curious about the hosting/performance impact — did you have any downtime? What hosting service is best for that kind of occasional (but infrequent) spike? I’ve had a similar (but much smaller) experience for a local cigar shop. A post I wrote for him didn’t take off until Christmas season a year later, and it all started with Google images. It’s the little things about onsite optimization, like optimizing images, that really help a website take off. A clean house, filled with good content, is always more attractive for natural link building. This is a nice testament that taking care of the seemingly small tasks of SEO will benefit you in the long run. Love hearing another success story about Google images! Often we start to wonder if all of that optimization is doing any good. Apparently it is! Thanks for the comment, Kevin. Very good write up. A similar thing just happened to me on one of my sites except the traffic took off about 2 hours after I posted it. It makes the rest of my stats seem irrelevant. Made a few hundred of Adsense but more importantly lots if new Facebook fans, email subscribers and links to the site. I’ll be doing a post about it in a week or two once things calm down a bit. Nice work guys. Now I want some Girl Scout cookies. Oh and I wish I understood Reddit better! I was really hoping that we would have some luck with Reddit as well on this one, but not so far. I’m hoping with 2 weeks to go until Girl Scout Cookie Day we might still have a chance! Yes! I allow people to submit infographics to my site for free even if they contain an ad as long as they contain great information. One of my infographics as pinned to Pinterest and then from Pinterest someone found it and added it to Reddit. In one day, that one post had 16,000 pageviews and has continued to remain #1 (other than the homepage) for a good 3 months now. It isn’t getting those insane numbers, but it remains to be quite popular. If you look at the post, you’d have no idea since I removed the Reddit share from my social sharing options just before this happened. That image is still being repinned on Pinterest like crazy as well. And you can see the Reddit link on my Alexa page because that’s still driving the traffic. I wish it was some content that I had authored myself or that was branded to my blog, but really to me it makes no difference. When I publish those infographics, I look at whether or not it is adding value for my readers. I also look at if it might bring in new readers. And so far, it seems to be the case that it has been valuable for me.